Why do I need a search engine key? In mid 2017 Bing updated the search engine API to version 7 which is supported since BootCaT version 1.0 (get the latest version of BootCaT here). BootCaT uses the Bing search engine to find web pages relevant to your domain. 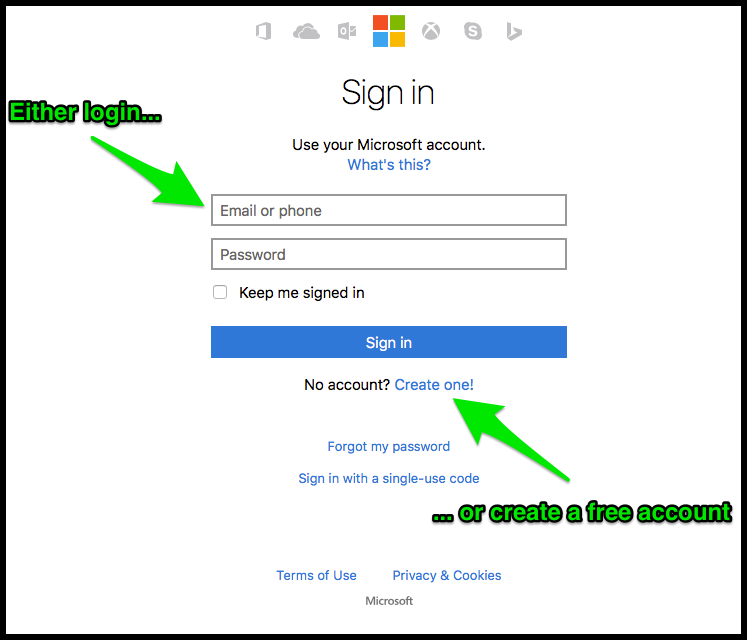 Unfortunately, in order to perform this kind of automated search, you need to register for an account that limits the number of queries that can be submitted (this limitation is enforced by Bing to prevent abuses). 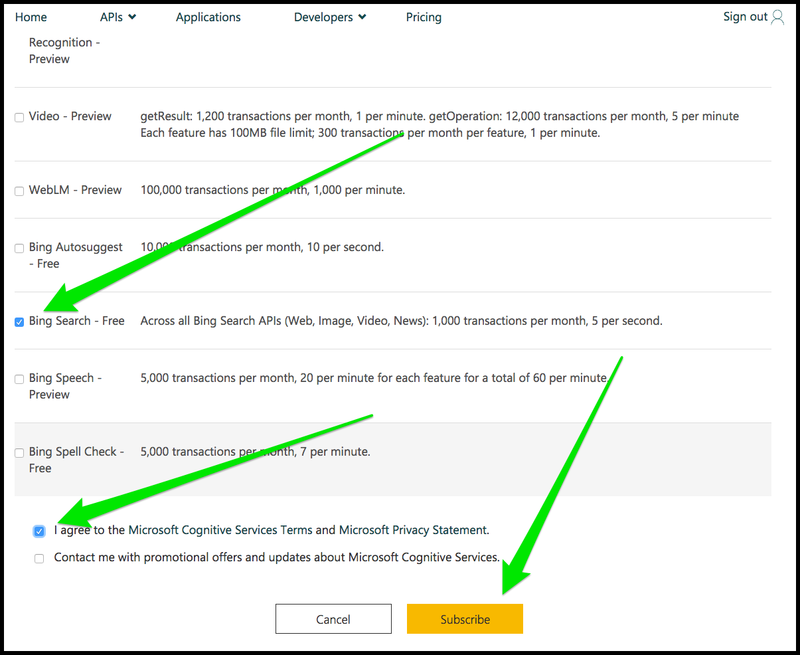 At the time of writing, you can get a free account on the Microsoft Cognitive Services web site that lets you submit 1.000 free queries a month (every tuple you create with BootCaT becomes a query, so if you generate 50 tuples, when you click on “Collect URLs” in BootCaT you will use 50 of your queries). If you need more than 1.000 queries a month, you could try signing up for a paid account (see below) although this has not been tested yet: if you do decide to buy a paid account, you do it at your own risk. A key is a sort of password: it's a very long string of letters and numbers. Unlike a password, you don't get to choose what your key is, it's assigned to you and you can't change it. 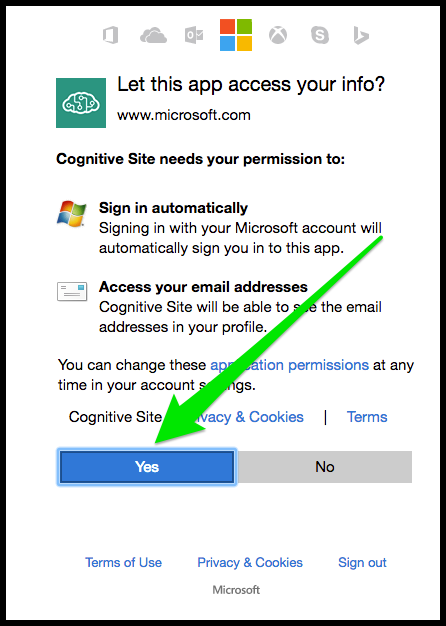 scroll down and check “Bing Search Free”, then check “I agree to the Microsoft Cognitive Services Terms and Microsoft Privacy Statement” and click on “Subscribe”. That's it, your search engine key is here, you need to click on “Show” to see it: it will be a 32-character-long string of letters and numbers. Now you can copy the key and paste it in the relevant field in BootCaT. BootCaT is a free software program developed by people at the universities of Bologna, Trento and Zagreb and is in no way affiliated to Bing, a commercial service owned by Microsoft. 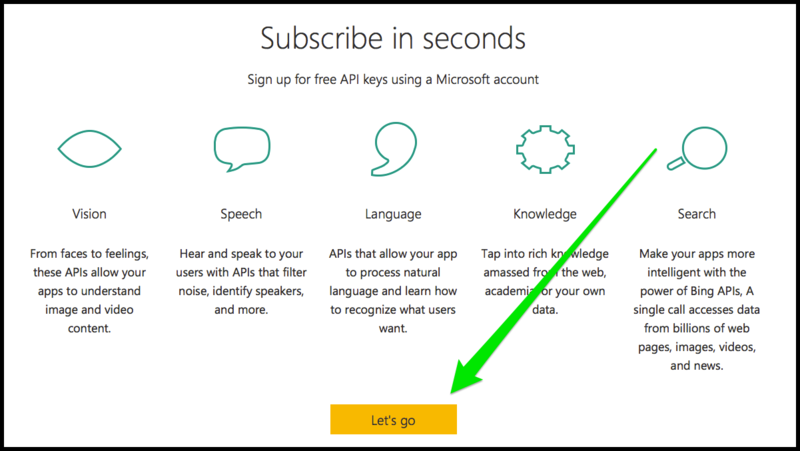 The main reason for using Bing to retrieve URLs is the fact that it offers a limited number of free queries a month: we don't get a cut if you buy a paid account from Microsoft, nor are we responsible for anything related to Bing. BootCaT version 0.71 uses the “Windows Azure Marketplace AccountKey” which will STOP WORKING on December 15, 2016. 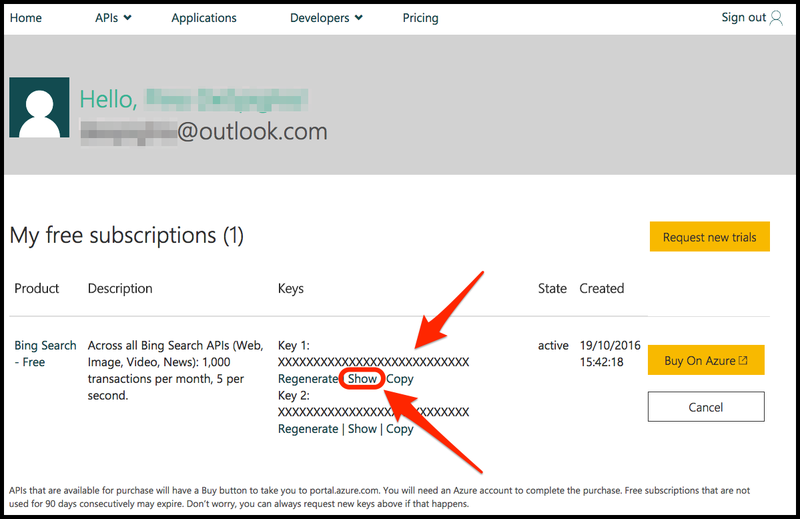 You'll need to upgrade BootCaT al least to version 0.81 and get the new Bing Search API key (see above for more info on how to obtain this new key).